Ever worry your Hyundai i30 N hot hatchback isn’t quite hot enough? Well, this new N Option styling kit unveiled at the 2018 Paris motor show could be just the ticket, lending a degree more visual menace to Korea’s feted pocket rocket. 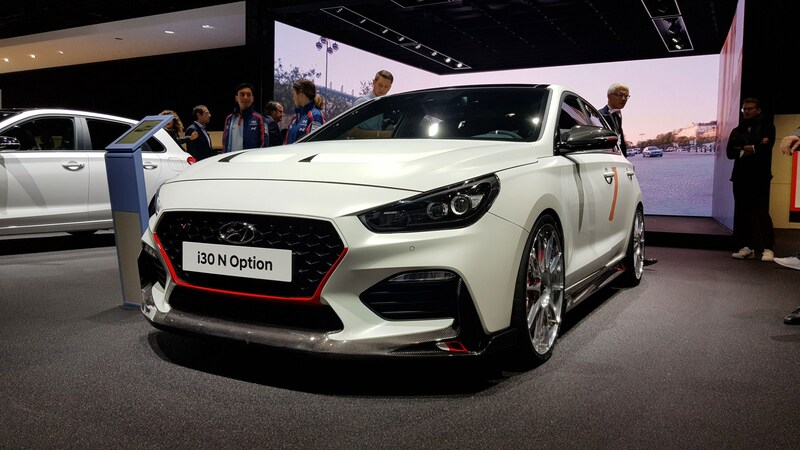 The Hyundai i30 N Option is a concept car for now, according to the manufacturer, presenting a well developed look at what a racier version could look like. 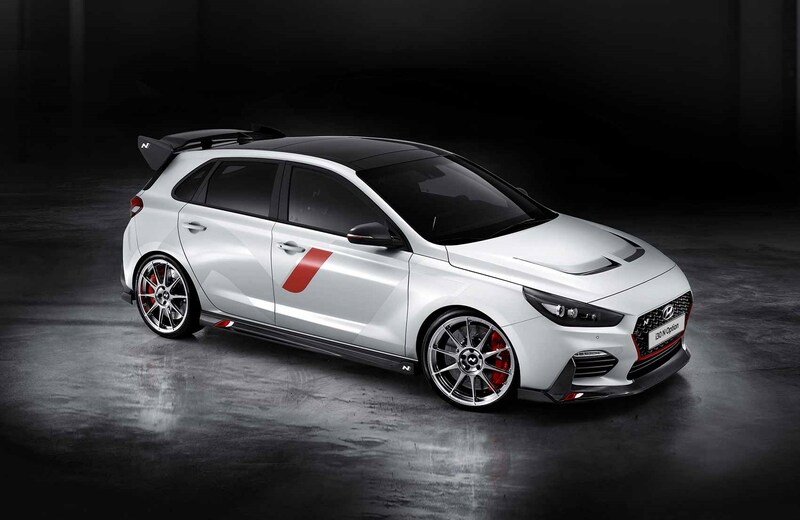 It was unveiled alongside the more elegant go-faster i30 Fastback N, also making its world premiere at the Mondial de l’Auto. What’s new on the i30 N Option? Hyundai says there are 25 different upgrades made to the show car, both inside and out. 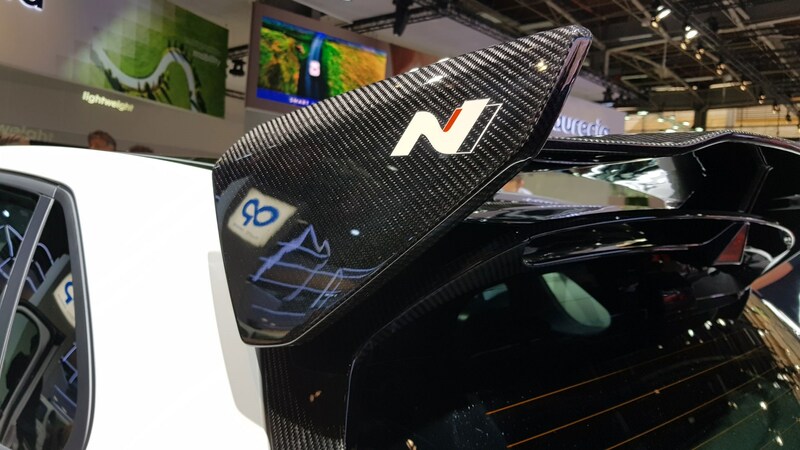 Some are easy to pick out - witness the Boeing-spec carbonfibre rear wing and vented composite bonnet - whereas others are mechanical tweaks or more subtle interior changes. Buyers will soon be able to spec 20-inch cast alloy wheels with track-ready semi-slick Cup tyres for more grip in corners. Handy for track days. Note also the red character line picking out the grille on this concept car, whose exhaust is bolstered by four chunky pipes. Alcantara interior trim, sports pedals and a stubbier gearlever (above) complete the visual makeover. Max Power ahoy! 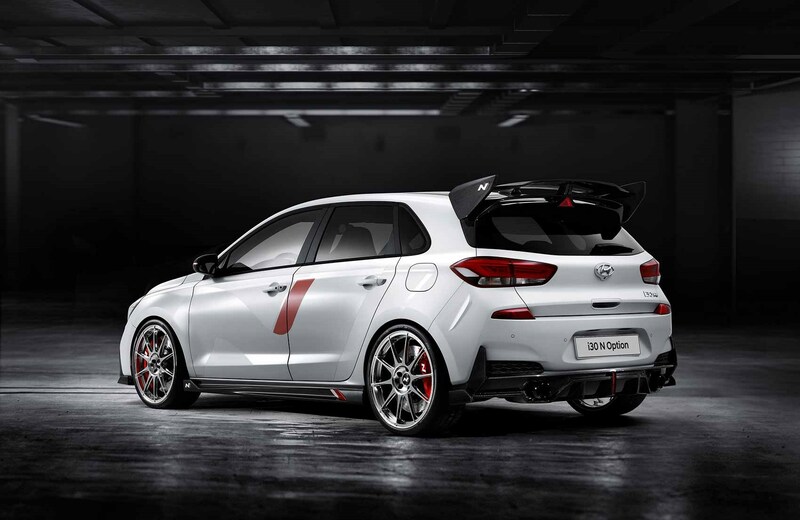 When can I buy the tuned Hyundai i30 N Option pack? 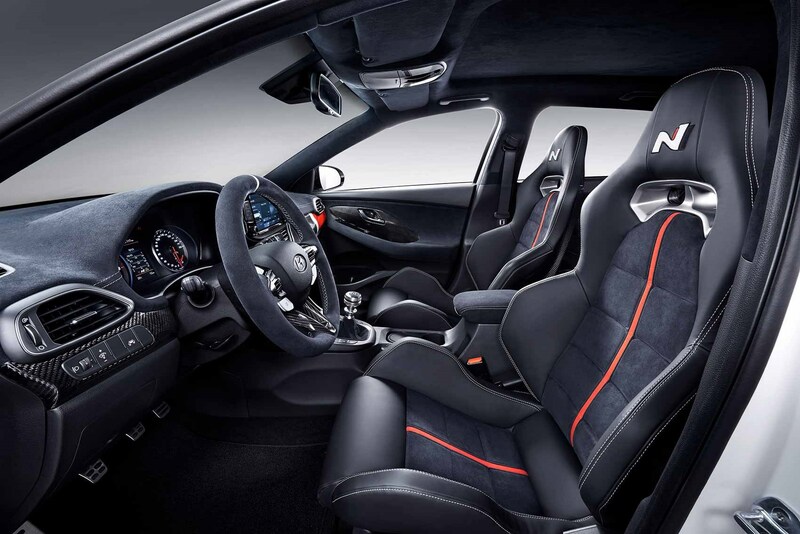 The personalisation scheme will launch ‘in the near future,’ says Hyundai. Count on the scheme going live in the next few months, with the full programme showroom ready by summer 2019, CAR understands. 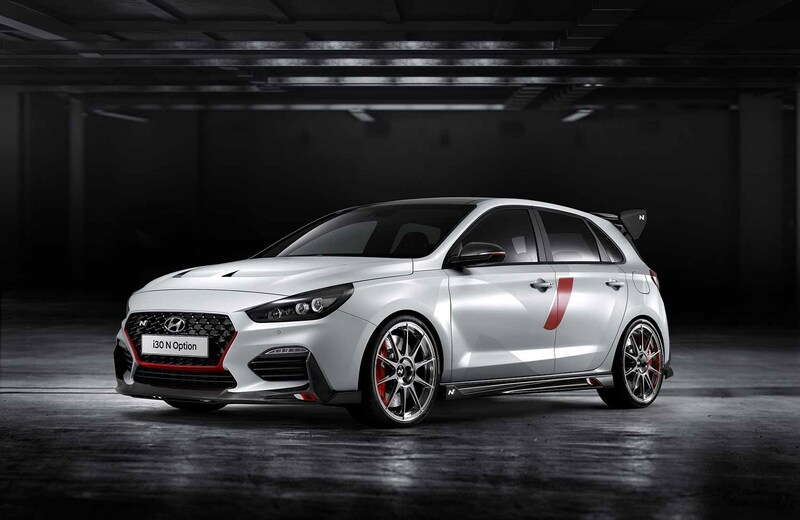 If your funds run deep enough, you’ll be able to go the full hog and order a car like the one pictured here, but the personalisation programme will also let you mix and match different styling elements to create your bespoke i30 N.